After going through the required ingredients it sounds pretty simple. Decided to bake it for Raya and it turn out great. This is going to be added to our regular cookie list for future raya. Never expect to be able to bake Suji and I am so pleased it turn out good on my first attempt. Glad to hear of your success, hope you all enjoyed the cookies. Wish you a very happy Raya! I’ve baked suji cookies for deepavali and taste quite good. My mum being a good cook liked it as well. Thanks to u Rose. Thanks for your feedback Uma. Thank you for sharing all your wonderful recipes. I am compiling a cookbook called The Asian Grandmothers Cookbook and was wondering if you’d be willing to contribute your sugee cookie or cake recipe, with acknowledgement of course. I grew up in Singapore and these were one of my favorite snacks/sweets! 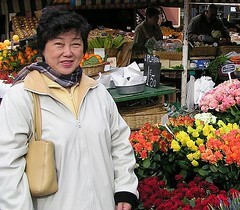 Please visit my blog: theasiangrandmotherscookbook.wordpress.com to learn more about my project. Thanks for considering my request! I didn’t take ghee, can substitute with other, pls advice. Where can I buy and what type of full cream milk powder? Like your suji cookies. Sound simple will try it out. I don’t like ghee can I substitute with butter instead? Pls advise.